In 1909, to commemorate the one-hundredth anniversary of Abraham Lincoln’s birth, a new cent design was introduced. The coin featured Victor David Brenner‘s portrait of Lincoln on the front or obverse, and two wheat stalks on the reverse. The design remained the same until 1959, when the Lincoln Memorial replaced the wheat stalks. The coin’s metal content is the same bronze alloy used in the Indian Cent (see specifications below). 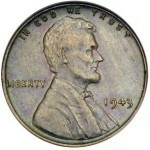 Only the 1943 cent is different, as zinc coated steel was used due to a shortage of copper. In 1982 the mint again changed the composition, and since then has used copper plated zinc. Besides the four major rarities in the series, the 1909-S VDB, the 1914-D, the 1922 Plain, and the 1955 Double Die, all of which are rare in any condition, there are many dates that are rare in uncirculated condition. Coins that are spot-free and retain their mint red color are always in great demand. 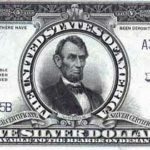 Examples of minimum prices for Lincolns in this top condition are: The 1909-S, $280, the 1909-S VDB, $1400, the 1911-S, $185, the 1914-D, $2800, the 1914-S, $375, the 1922 Plain, $22,000, the 1923-S, $265, the 1924-D, $230, and the 1955 Double Die, $2400. 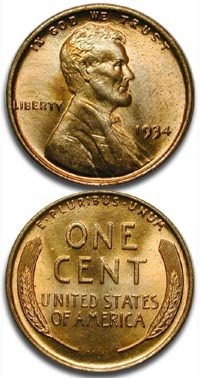 There’s one coin that is the rarest Lincoln Cent of all, the 1943 cent struck in bronze. 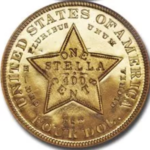 An example of this coin would bring tens of thousands of dollars. Besides the 1955 Double Die Lincoln cent, there are other mint errors of the same kind. The 1972 Double Die Lincoln has a doubled impression that is not quite as bold as the 1955 coin, but is still easy to see. 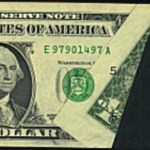 In 1983 there is another error that has a doubled reverse, in 1984 an error with a doubled ear and in 1995, a doubled date. It’s very possible that you could find one of these errors in your change. If you do, they could be worth from $30 to several hundred dollars each. 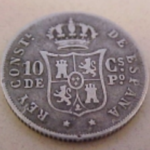 See All about Cents for specific prices. * From 1909 to 1962, except for 1943, when cents were made of zinc-coated steel, and 1944-46, when they were .950 copper and .050 zinc, with no tin. Steel cents weigh 2.70 grams.